This was one of Kathryn Bigelow’s early films. 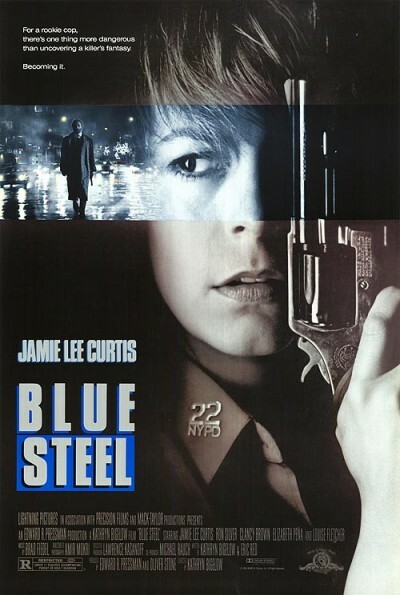 Though she later moved into making films that are hyper real, Blue Steel feels very much like a prolonged dark dream. To support that aspect, Kathryn and I agreed that the film needed a very dark atmospheric score. I used a lot of breathy sounds, including distortions of my own breathing to create the textures. Much of the score had very few recognizable instrument sounds or melody. I enjoyed the challenge.